Just when I thought the hullabaloo of the last elections had died down, I was wrong. No sooner had the results of the GE13 been announced and the winners sworn into power, many of the promises made during the elections were broken. For example, PM Najib, looking for his first mandate from the rakyat, blatantly announced that there would be no increase of petrol prices or any other prices so as not to burden the people. After winning the elections, he casually announced that the price of petrol would increase (September 2013), the price of sugar would increase (October 2013), and electricity would go up (January 2014). Huh, so much for “rakyat didahulukan” (people first). There have been proposals to get the government to approve a decent minimum wage for the rakyat. After a long time pushing them, the government approved a minimum wage of RM900 in July 2012. It was supposedly implemented last month but with all these price increases, what difference is it going to make to the lives of the poor? 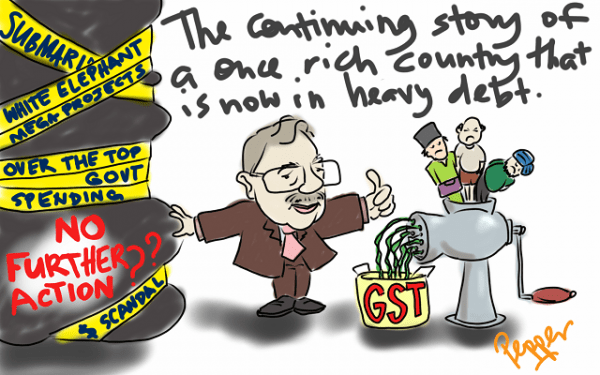 Plus, with GST announced for 2015, I am sure everyone is not looking forward to that new year. So, our government is incompetent. What is our alternative? Pakatan Rakyat? I had high hopes for them. The states of Penang and Selangor look well run. That is good. They looked well on their way to proving themselves an able government — until the Kajang debacle happened. Politics in this country is simply ridiculous and the biggest loser is the rakyat. If politicians think the rakyat are supportive of such moves and endorse their bizarre strategies, then I would like to propose Lord Bobo Barnabus as a candidate for the Kajang state seat. Well, why not? Look at the many good articles Lord Bobo has written on matters that are of concern to the rakyat. 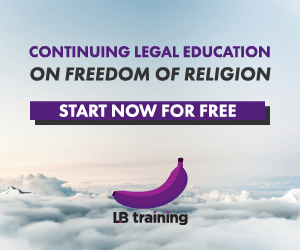 Every week, Lord Bobo invites questions from the rakyat and he takes the time to answer them through his blawg LoyarBurok, or on The Malaysian Insider, or at @LoyarBurok on Twitter. One of the latest problems Lord Bobo is tackling is the problem of gerrymandering. Using his mind-control, he has been guiding pupils of Sekolah Aktivisme to study this problem and come up with solutions to counter it. Gerrymandering is the act of dividing constituencies in such a way as to give a certain party an advantage. 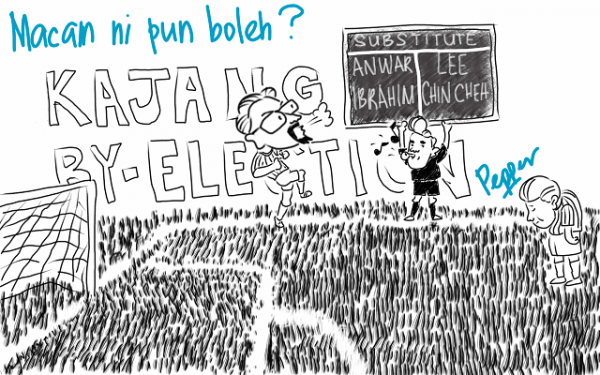 Yes, gerrymandering happens in Malaysia. How else can you explain how Barisan Nasional who only garnered 46.2% of the votes secured 133 parliamentary seats while Pakatan Rakyat with 51.7% only got 89 parliamentary seats? The Election Commission (EC) is going to conduct another delineation exercise this year. We can either leave them to continue their gerrymandering chicanery or we can follow Lord Bobo’s advice to challenge the EC to ensure constituencies are balanced in terms of size and number of voters. I, myself, am a pupil of Sekolah Aktivisme and Lord Bobo’s mind-control has been strongly urging me to offer His Supreme Eminenceness as a candidate to the good folk in Kajang. I am sure he is much better than Chew Mei Fun, Zaid Ibrahim, and Anwar Ibrahim. He knows where He stands on issues like gerrymandering — unlike these three politicians who have been waffling and fruit-looping on every issue that is important to the rakyat. Posted on 5 March 2014. You can follow any responses to this entry through the RSS 2.0.